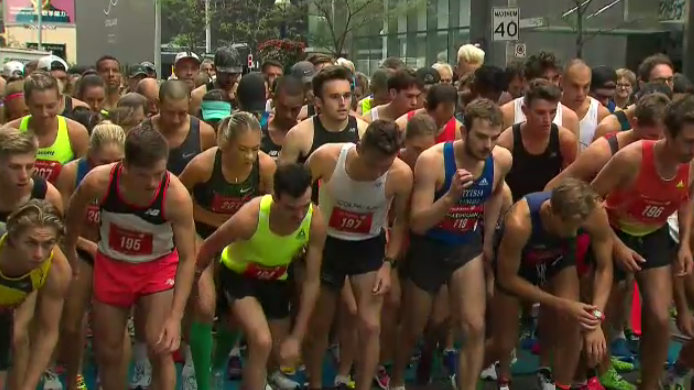 The New Balance 5K Championship took place on Sunday morning. It wound through downtown Toronto, and the first runner crossed the finish line in record Canadian time. Kitchener’s Ben Flanagan set the record after finishing in 13 minutes and 57 seconds. British Columbia’s Natasha Wodak won the women’s division. The race was followed by the B&O Yorkville 5k Charity Run. A collision involving what appears to be three vehicles shut down part of Hwy. 401 near Cambridge.